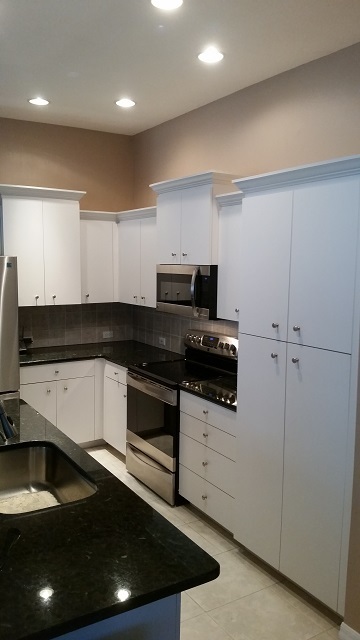 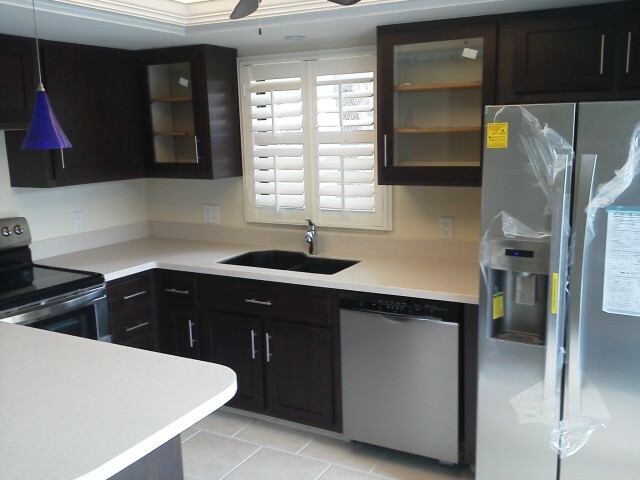 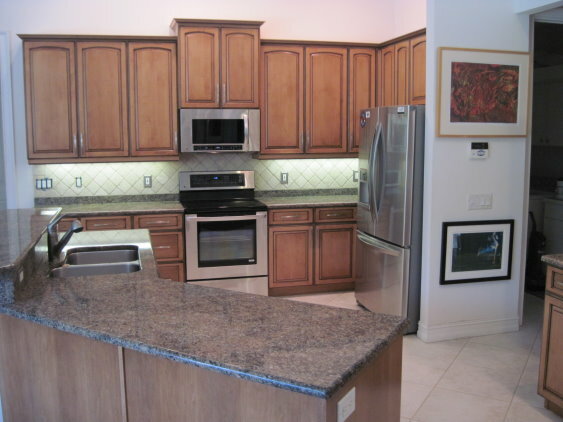 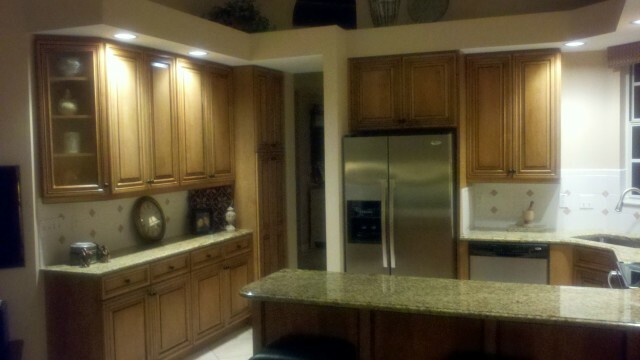 Cabinet refacing from a plain white cabinet to a rich dark wood style really modernized this kitchen. 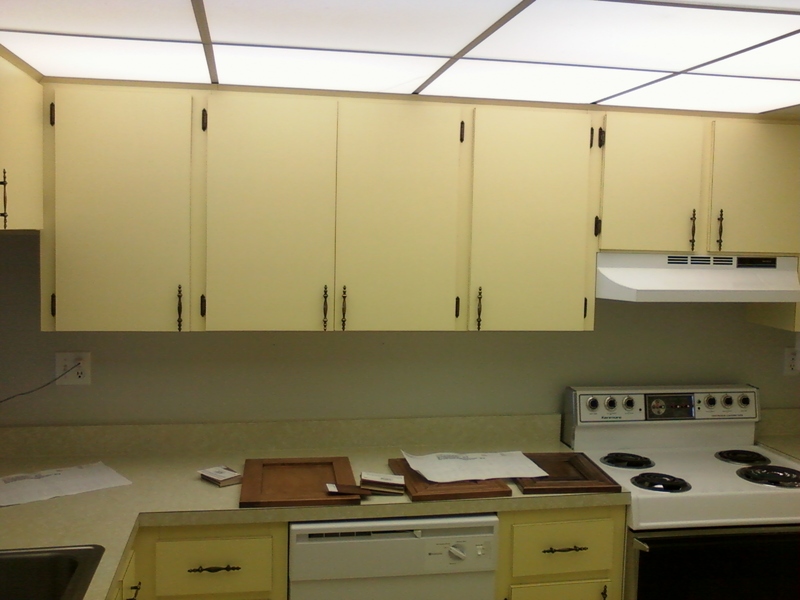 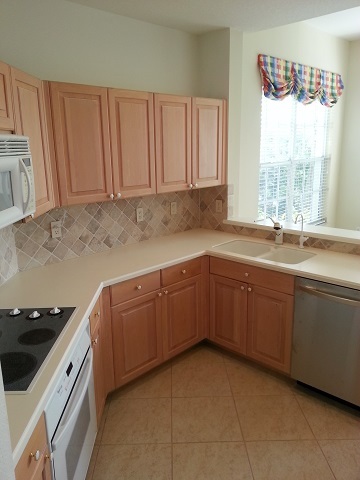 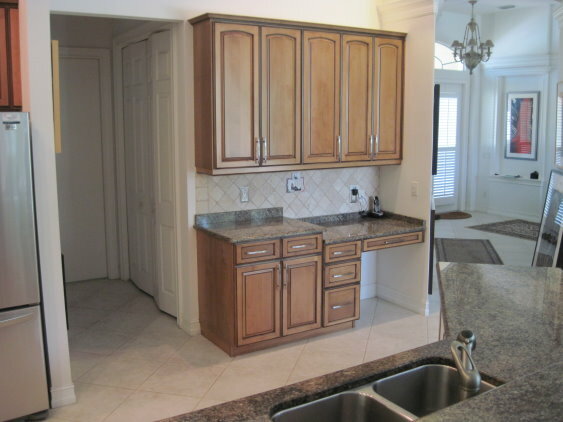 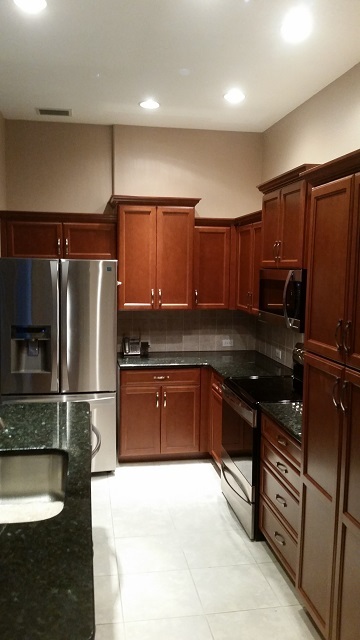 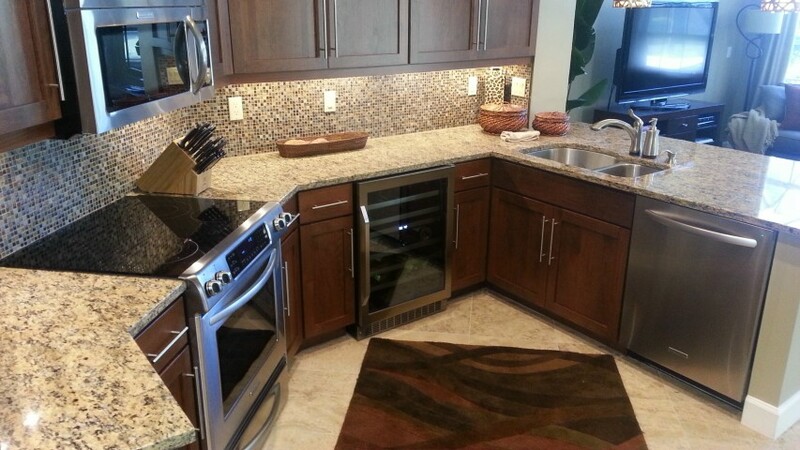 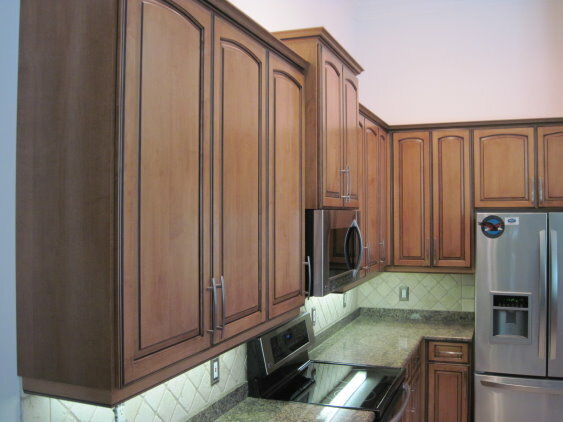 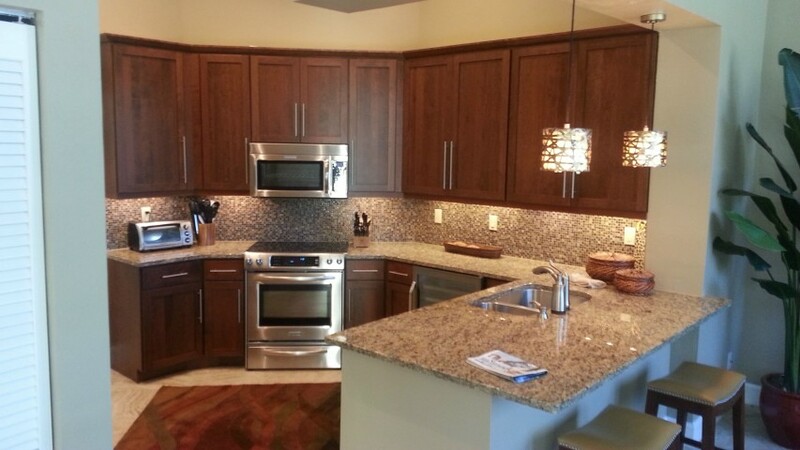 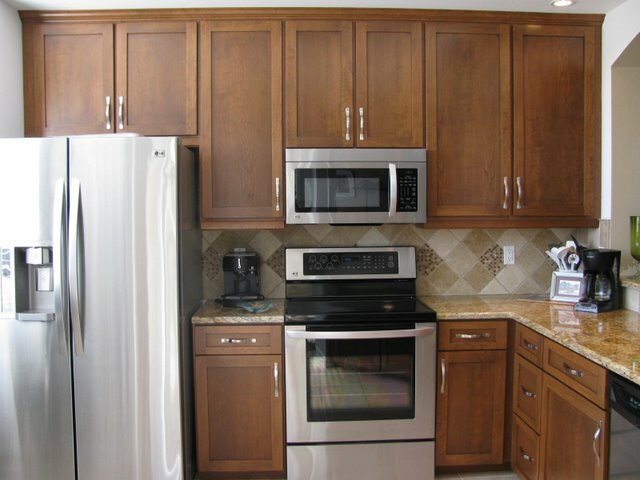 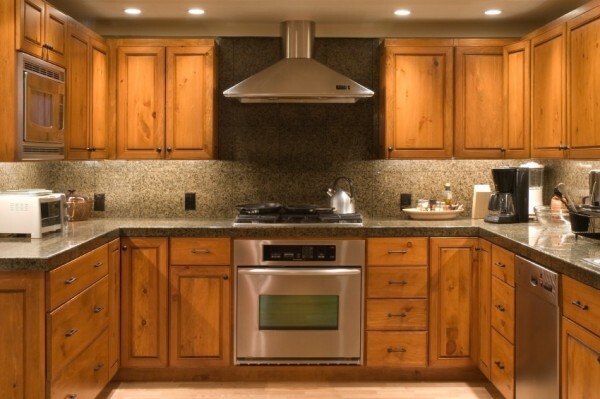 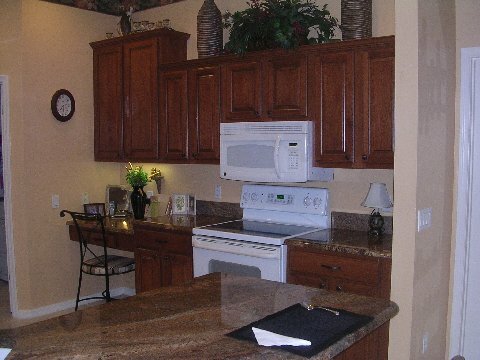 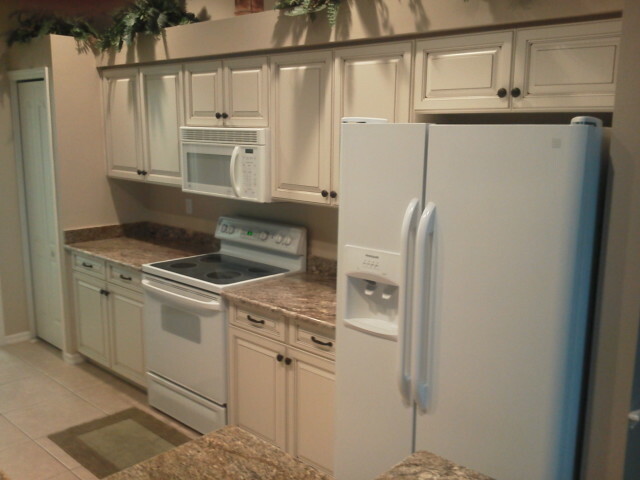 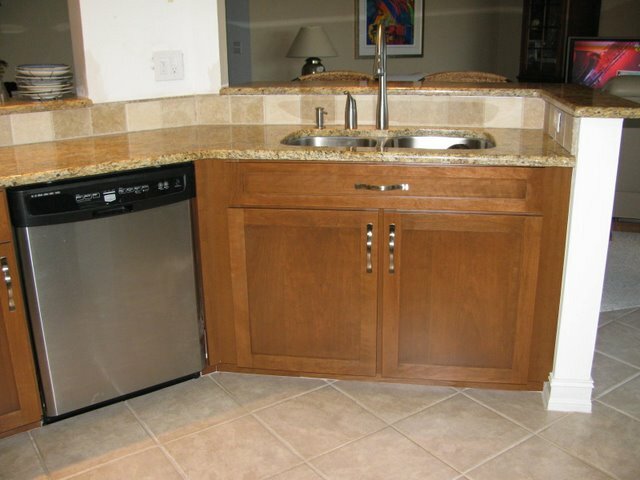 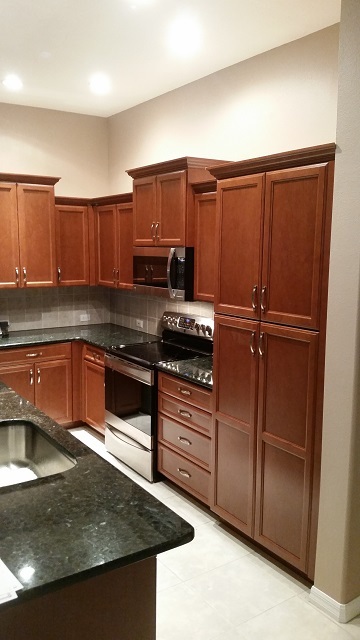 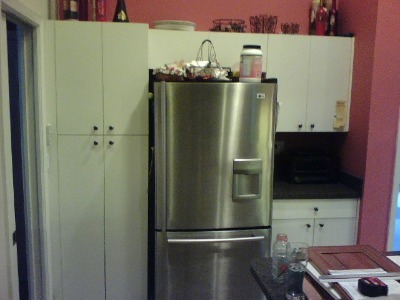 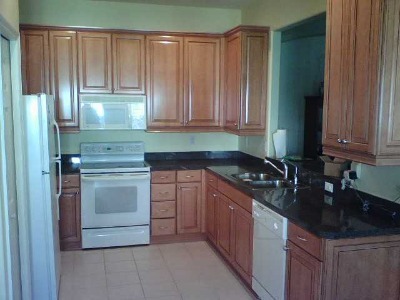 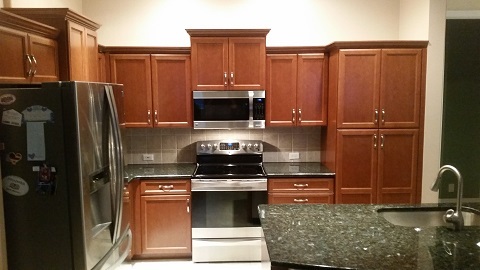 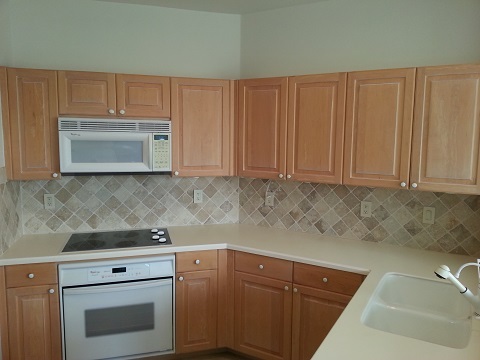 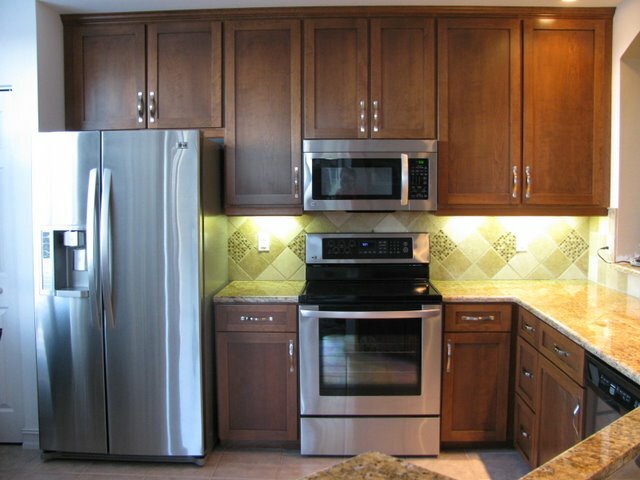 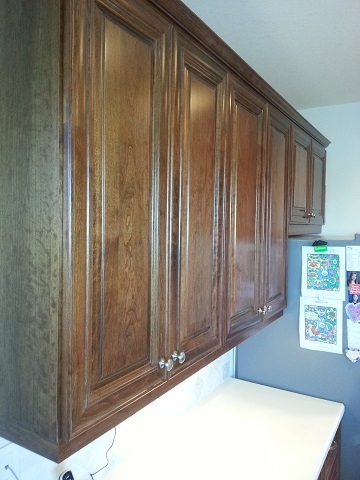 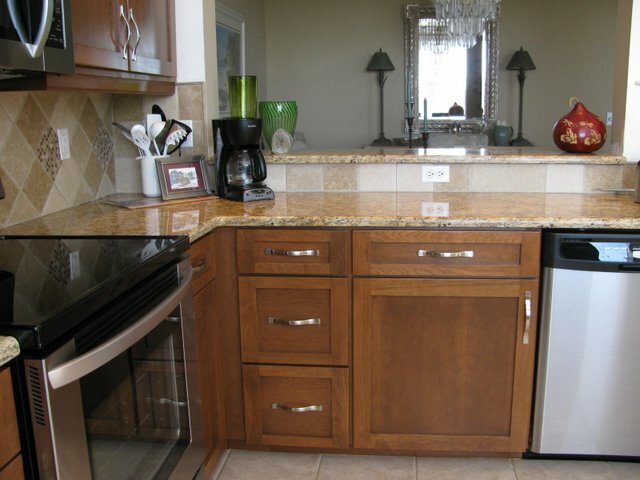 Refacing using a darker wood color and new hardware updated the look of these kitchen cabinets. 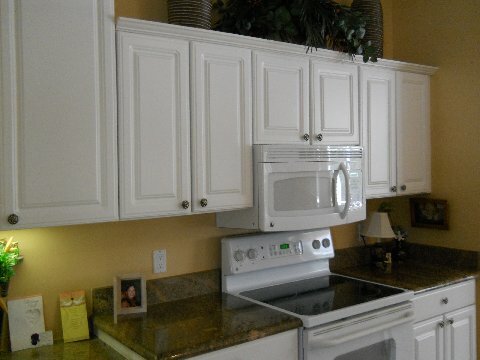 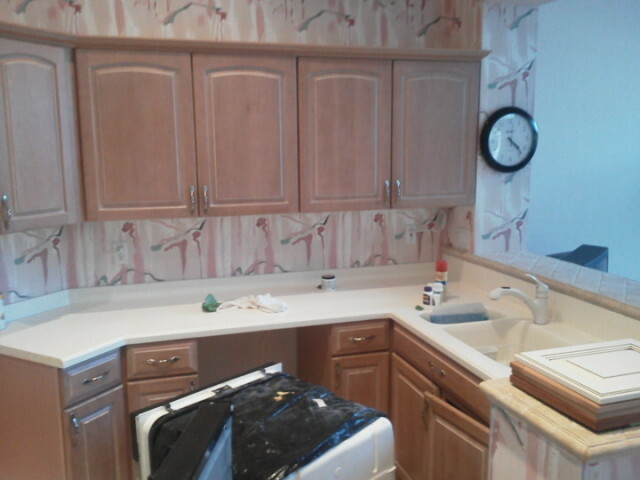 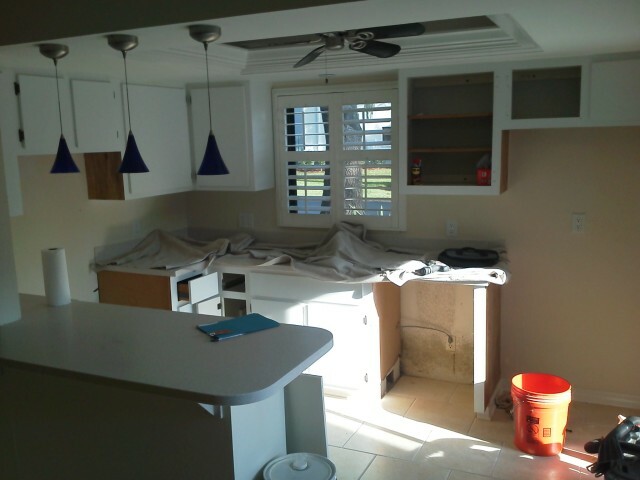 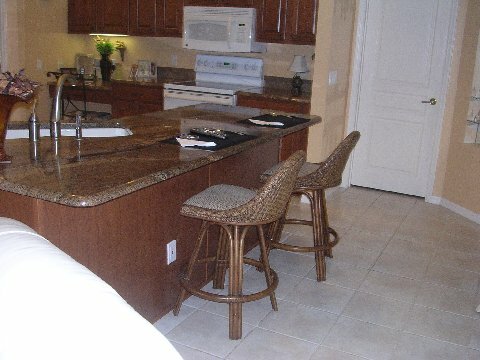 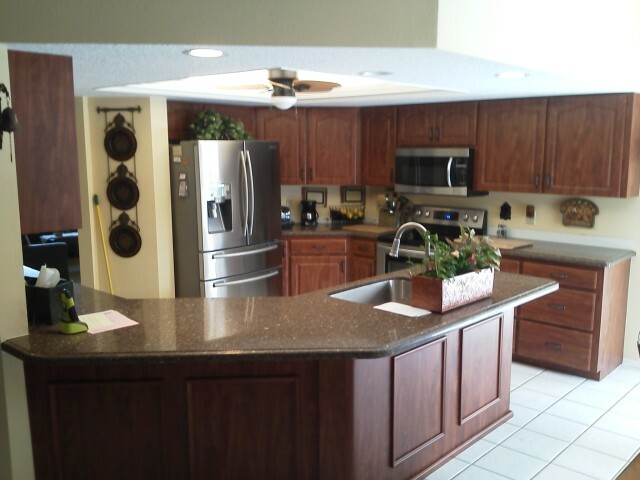 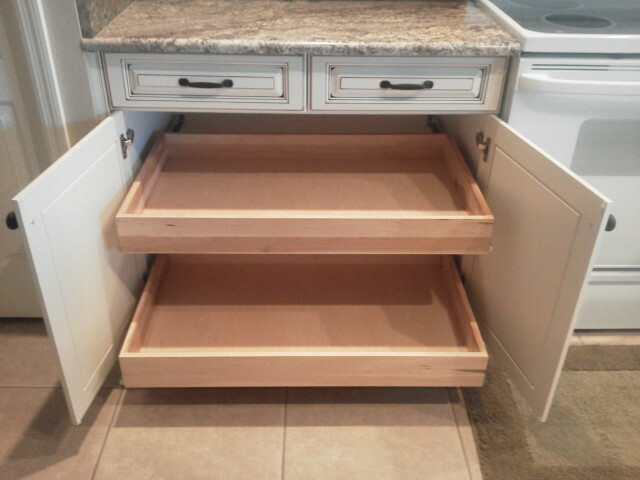 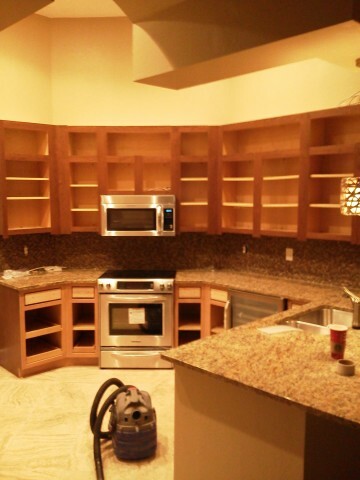 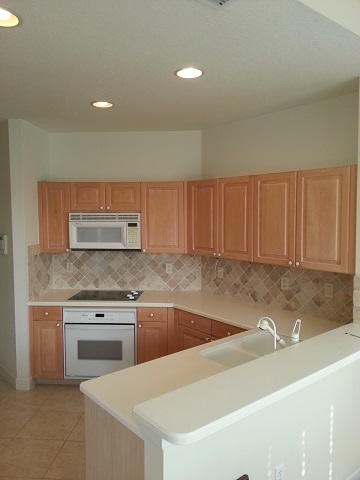 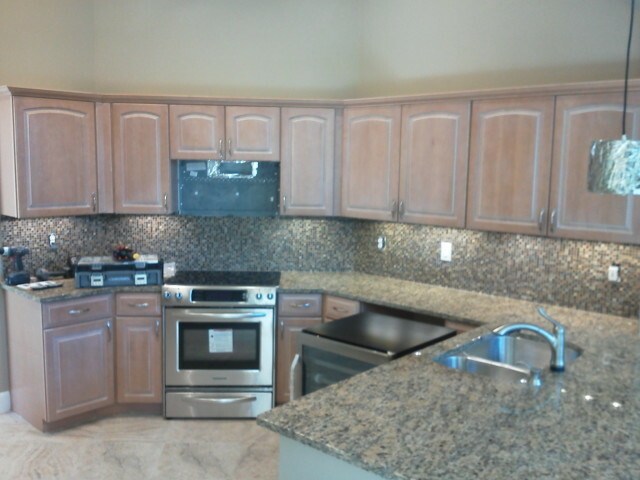 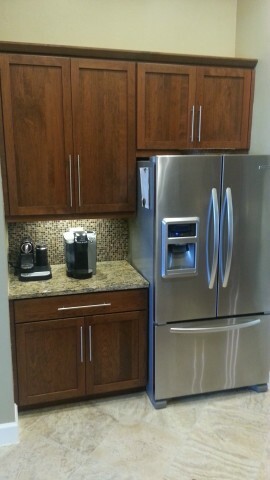 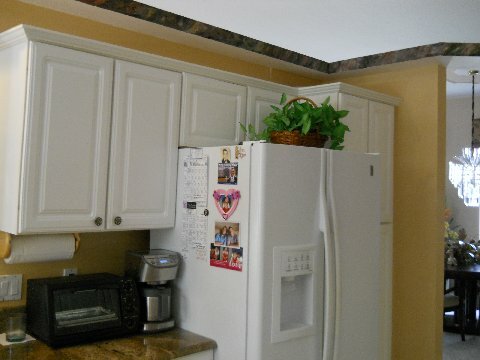 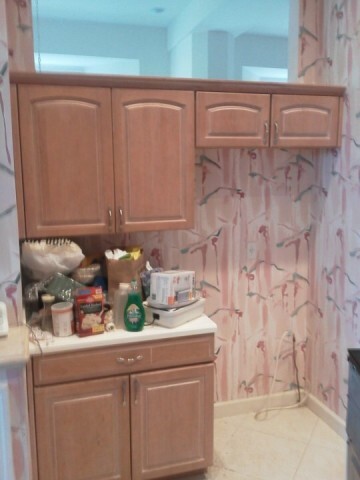 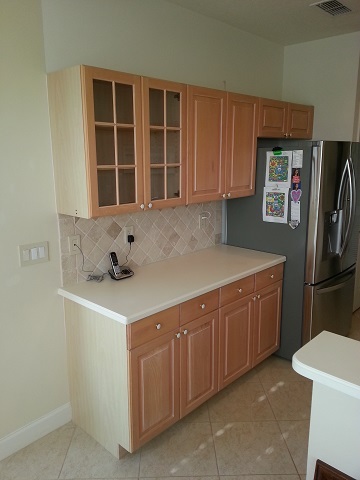 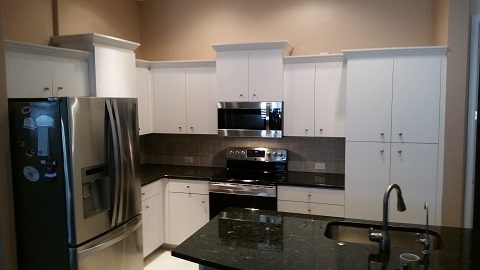 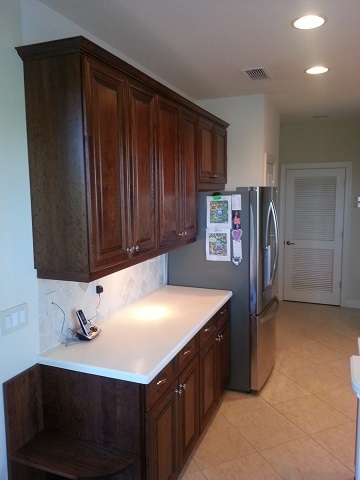 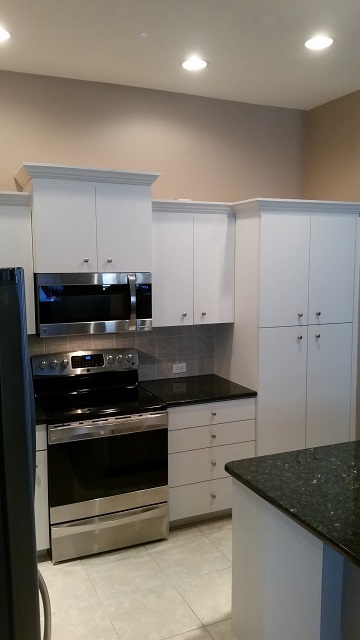 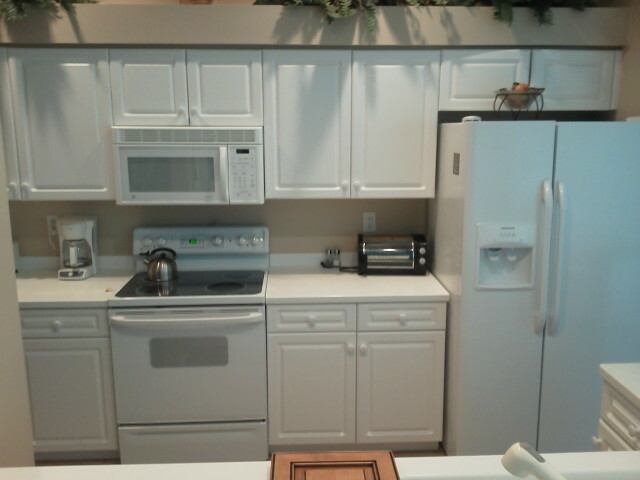 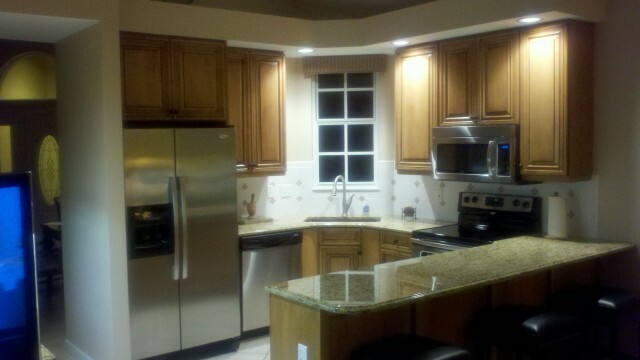 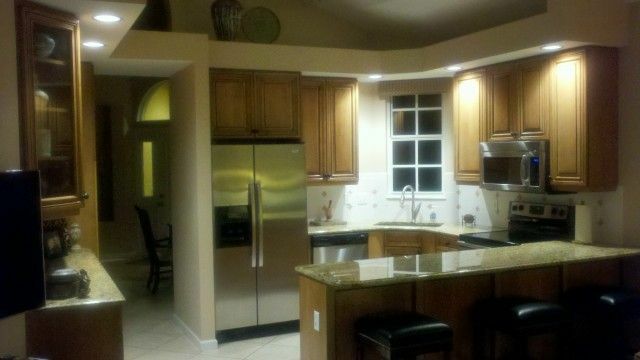 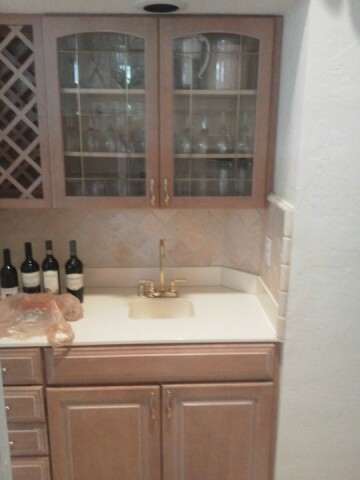 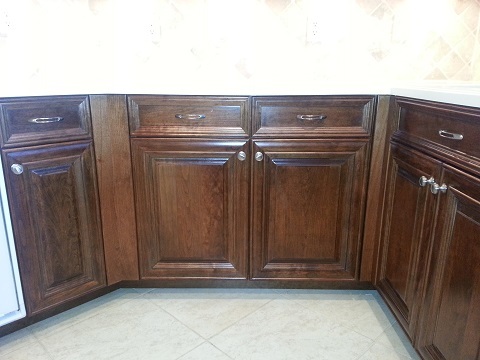 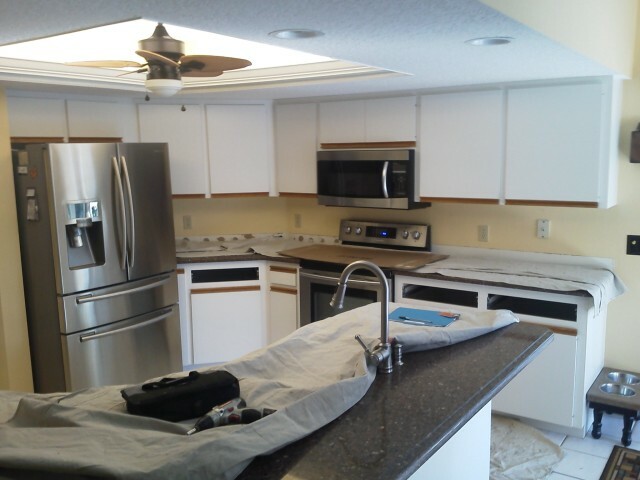 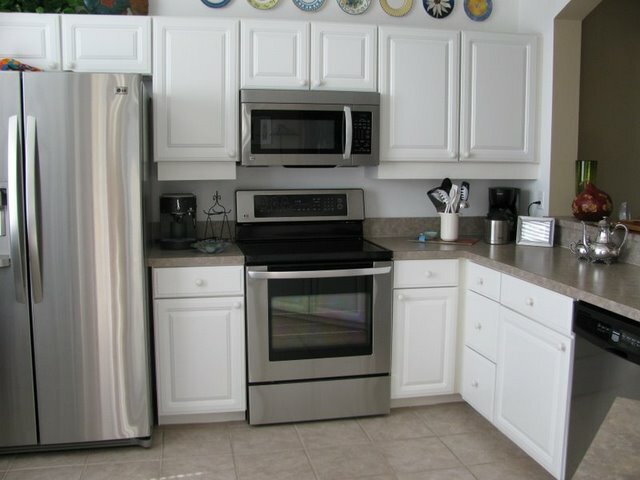 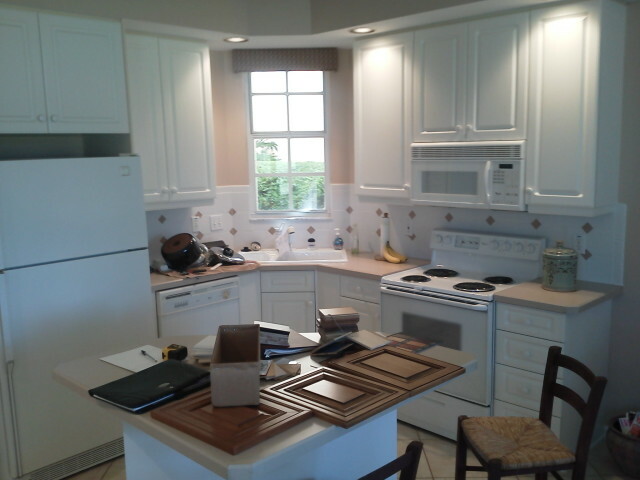 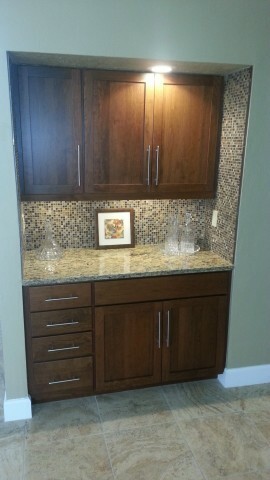 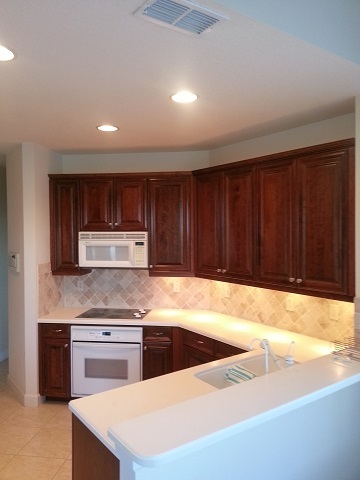 Recent Cabinet Reface in Naples, Fl. 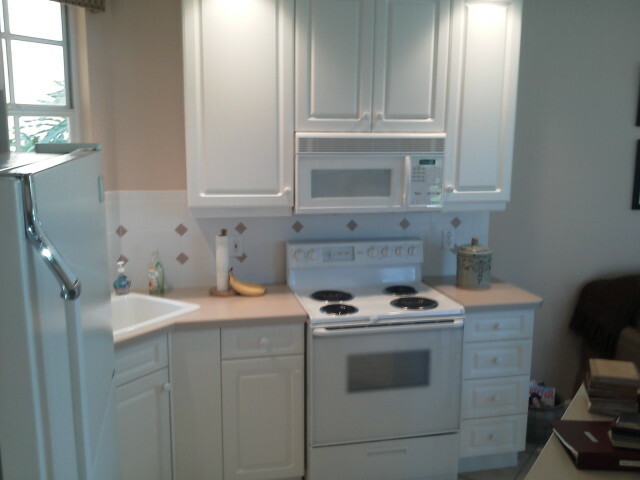 Original doors were flat white laminate. 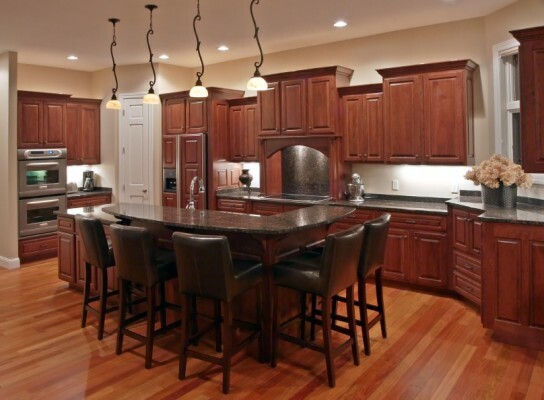 Refaced with select solid cherry wood with burgundy finish, licorice glaze & beaded detail. 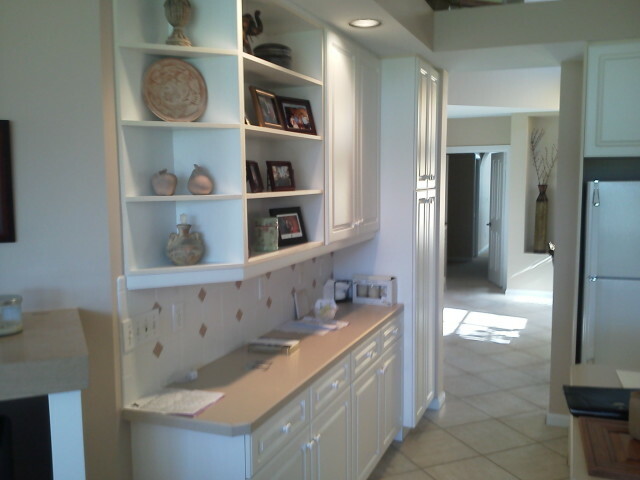 Added Crown with rope detail and light rail on wall cabinets to give a finished look. 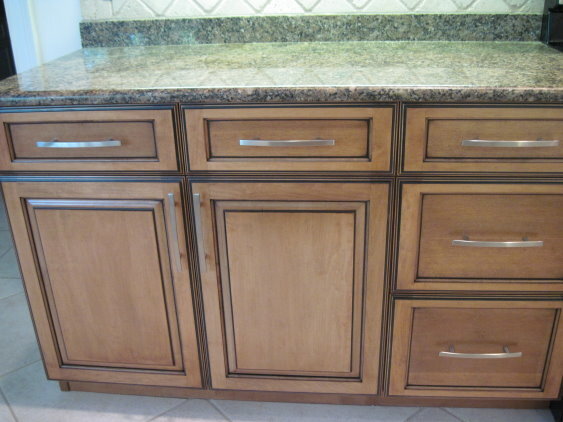 Choose from hundreds of styles of doors in Oak, Maple, Cherry, Hickory and Laminate. 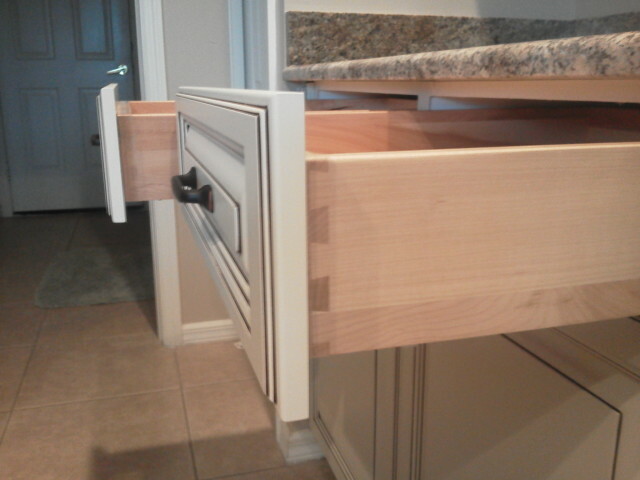 We offer solid wood custom drawer boxes, soft close drawer slides & soft close hinges. 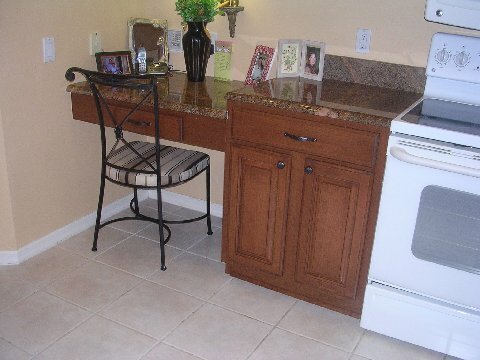 Leave your existing counter tops or top if off with our wide selection of solid surface tops. 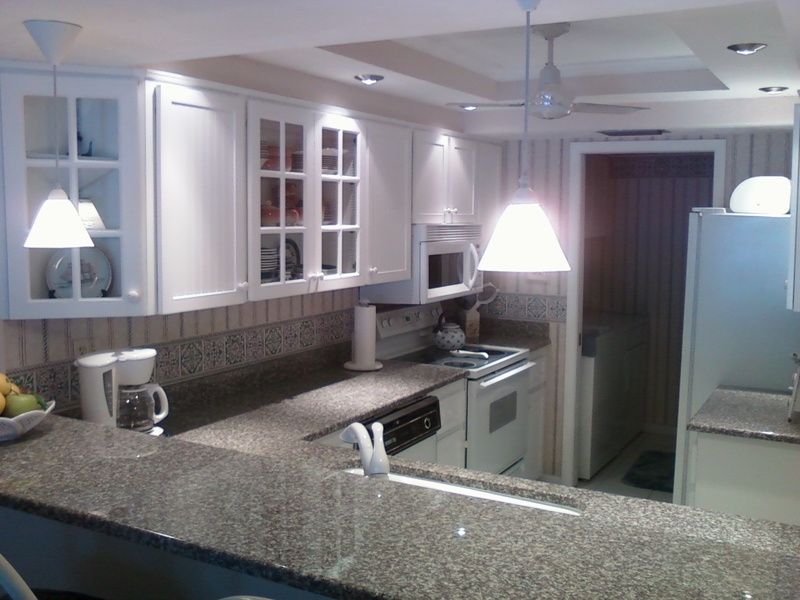 Choose from a variety of glass doors. 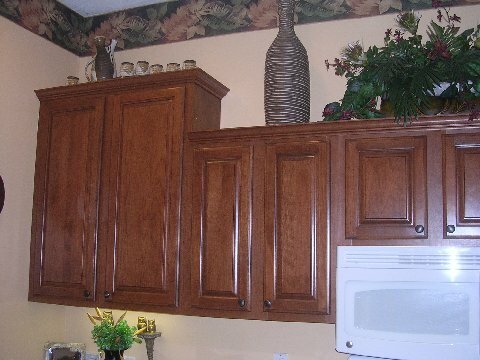 Solid cherry with Cider Finish, mitered doors with raised panels. 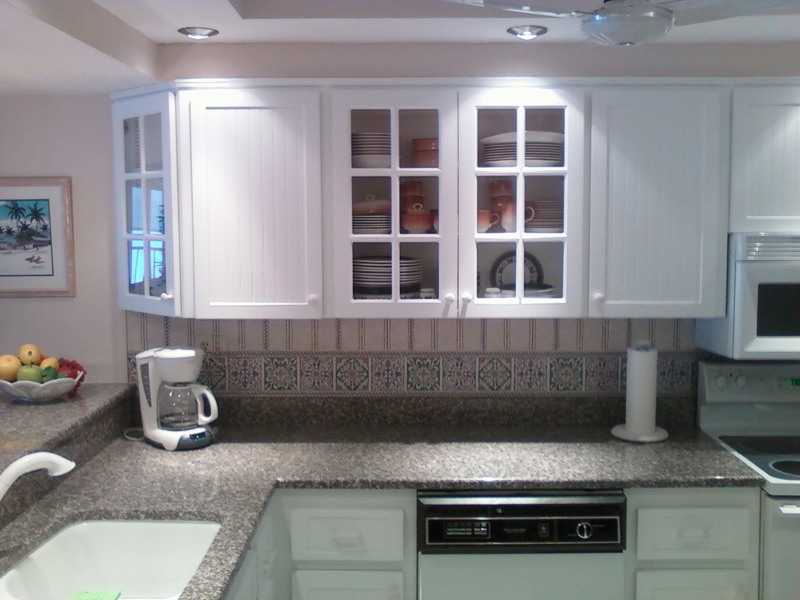 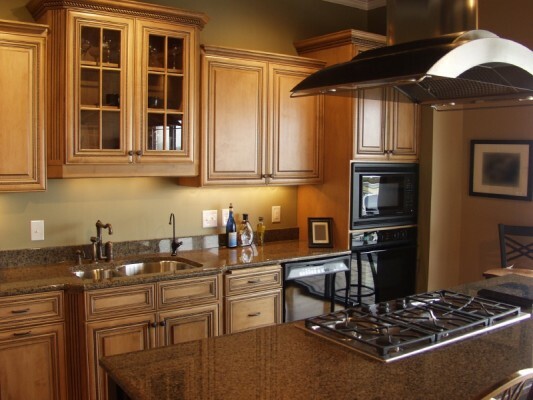 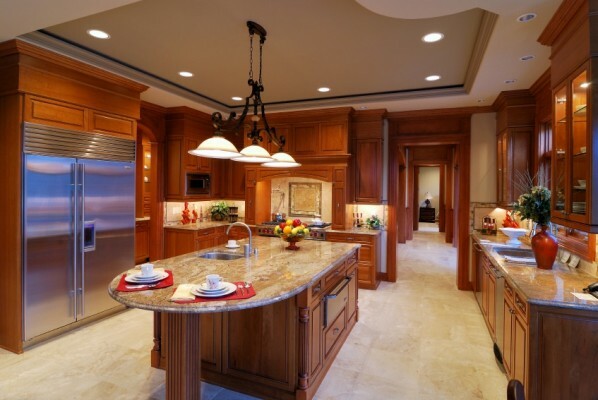 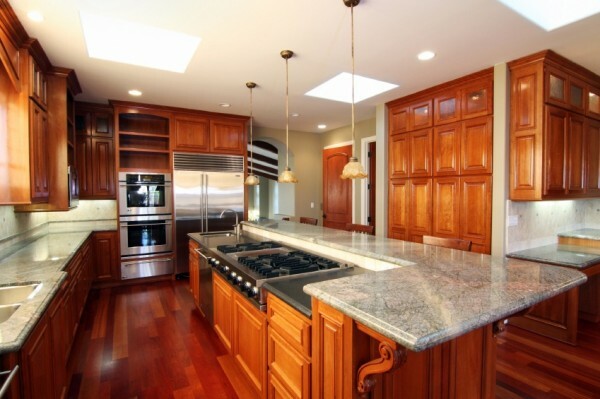 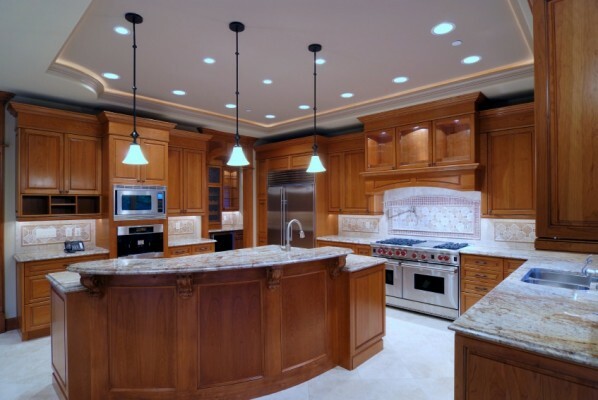 Most kitchen refacing can be complete in just 2 to 3 days. 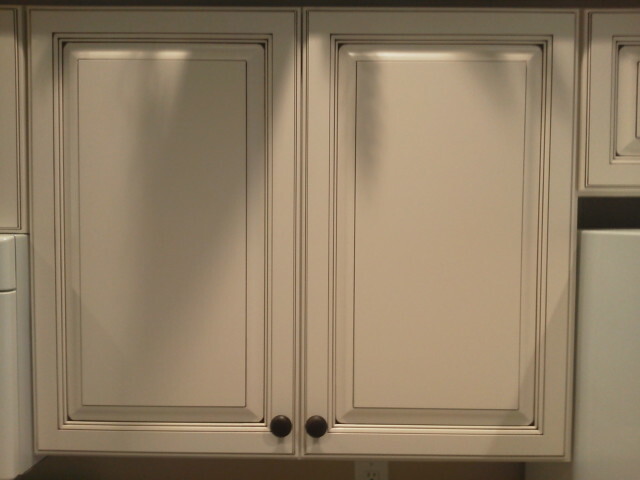 We offer a Wide selection of Thermalfoil Doors to choose from. 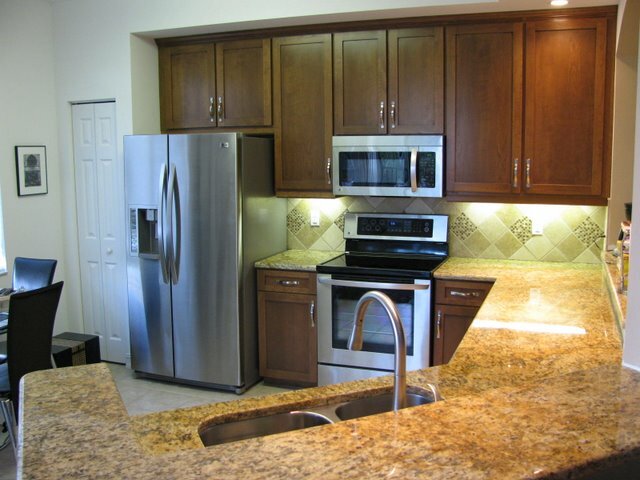 Let us Give you some ideas for your kitchen.